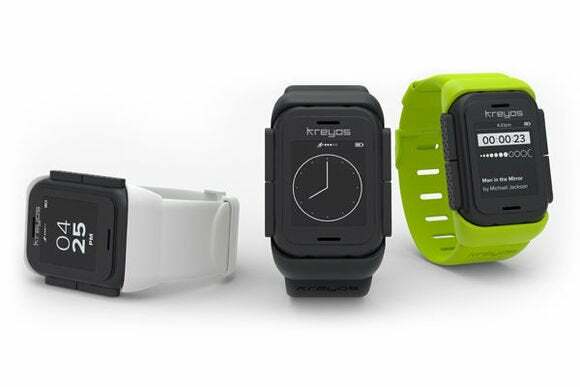 With its smartwatch efforts in tatters, Kreyos has become a textbook example of how crowdfunding should not work. The company, whose disastrous Indiegogo campaign led to a full-blown backer revolt last month, is now attempting to vindicate itself with a full account of how things went wrong. Instead, the account from CEO Steve Tan only reveals how poorly-conceived the project was from the start, and how easy it was to mislead potential backers. The Kreyos Meteor was supposed to be a waterproof smartwatch with voice and gesture control, 7-day battery life, waterproofing and a wide range of software features. It launched as a crowdfunding campaign on Indiegogo in June 2013, and raised $1.5 million—far exceeding its $100,000 goal. A year later, many backers hadn't received their watches, and those who did found numerous problems with the hardware and software, including a lack of several advertised features. Tan's post on Medium, titled “The Rise and Fall of Kreyos,” tries to lay almost all the blame on a manufacturing partner, China-based Viewcooper Corp. Tan accuses Viewcooper and its CEO Pro Yang of perpetrating an “intricate conspiracy” against Kreyos, claiming that the company pocketed close to a million dollars in profits while failing to deliver on its promises. All the while, Viewcooper was using Kreyos as a pawn to develop a “turnkey” smartwatch solution for other companies, Tan claims. Regardless of whether Tan's claims are legitimate, the fact is that Kreyos didn't have the necessary expertise to bring a smartwatch to market. By Tan's admission, Kreyos was nothing but “a small marketing team” of four people when the project launched on Indiegogo; Viewcooper was supposed to handle all the hardware, software and firmware development. Kreyos itself would focus on branding and marketing, but none of this was disclosed to backers as part of the campaign. Kreyos didn't even have a fully-working prototype when the project launched on Indiegogo in mid-2013, and many of the functions shown in Kreyos' pitch video appear to be just dramatizations. When Kreyos finally did have a prototype to demonstrate at CES 2014, it was a disaster, with most units failing by the end of the show. A look at Pebble's Kickstarter campaign makes for stark contrast. The company's pitch video uses actual, working prototypes, on which you can see Pebble's advertised functions in action. Pebble already had a history of producing hardware, and was close to entering production when the campaign began. Pebble's launch wasn't flawless, but the product arrived as advertised and has even gained new features over time. Kreyos' campaign, by comparison, was nothing but a slick marketing smokescreen, built on promises from a single sketchy vendor. 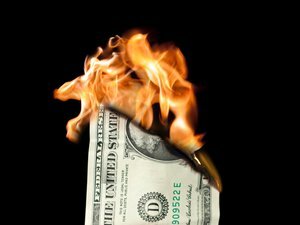 It is the epitome of crowdfunding gone wrong, and a shining example of why potential backers should be extremely skeptical of any hardware campaign without working prototypes and a proven track record.